Due to the overwhelming concerns of pollution, agriculture and population growth, the global crisis of water scarcity is sweeping the nation. The civic issue of water scarcity is the lack of available water resources to meet the demands of water usage within a region. According to the United Nations, his issue has already affected every continent as approximately 1.2 billion people, about one-fifth of the world’s population, live in regions of water scarcity and about 500 million people are approaching this condition within the next few decades. It has most severely impacted countries and communities in Africa such as Libya and Tunisia in North Africa and Ethiopia, Kenya and Tanzania in Sub-Saharan Africa. As an example, Ethiopia faces water shortages, poor sanitation and lack of access to clean water sources. Only 42% of the population has access to a clean water supply and only 11% of that number has access to adequate sanitation services. This concerning issue is something that I am personally interested in because I want to make a change in our global community and show how one person can make a difference in regards to a worldwide crisis. 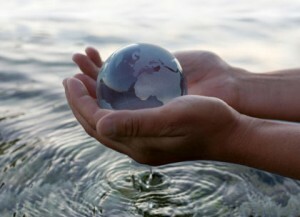 I believe that all individuals worldwide have the right to access clean water and sanitation services. With this initiative, I hope to inform people in my community and worldwide about the issues individuals face on a daily basis in developing countries, to bring people to the realization that this is a serious issue and lastly, to encourage people to donate their time, money and/or supplies to this cause. I am raising money for individuals in Sub-Saharan Africa to have access to clean and safe water resources and sanitation services. Your money will go towards implementing water projects in these communities which will drastically change the current living conditions. As a global community, we must evaluate the importance of our actions and decisions, take action and make a difference to contribute to a political change in our society.